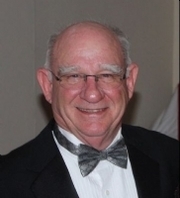 After serving in the U.S. Coast Guard, Johnny Harris became a licensed Realtor® in July 1977 and joined the team at Harris & Associates, Inc. as the Sales Manager and Trainer. He is a Life Member of the Million-Dollar Sales Club, as well as a member of the Southside Virginia Association of Realtors, Richmond Association of Realtors and Virginia Association of Realtors. Johnny is also a licensed Class A contractor for the state of Virginia, an REO Sales Professional and RES.NET broker. He and his wife, Mary Virginia, have four children and eight grandchildren. Johnny is also very involved in his church and Bible study.